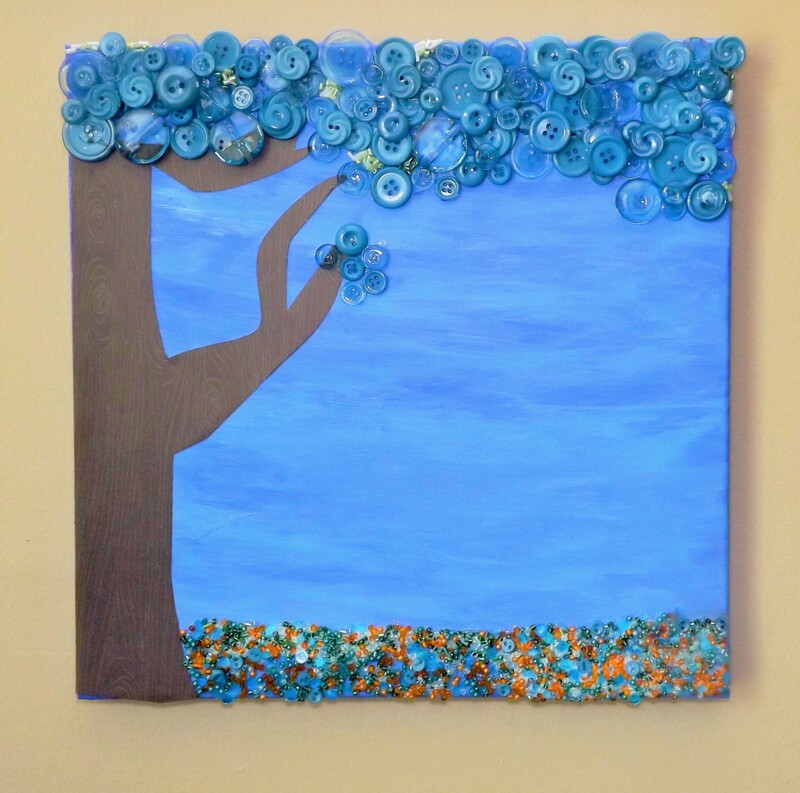 Over the past few months, I have seen so many beautiful craft projects and art using buttons. 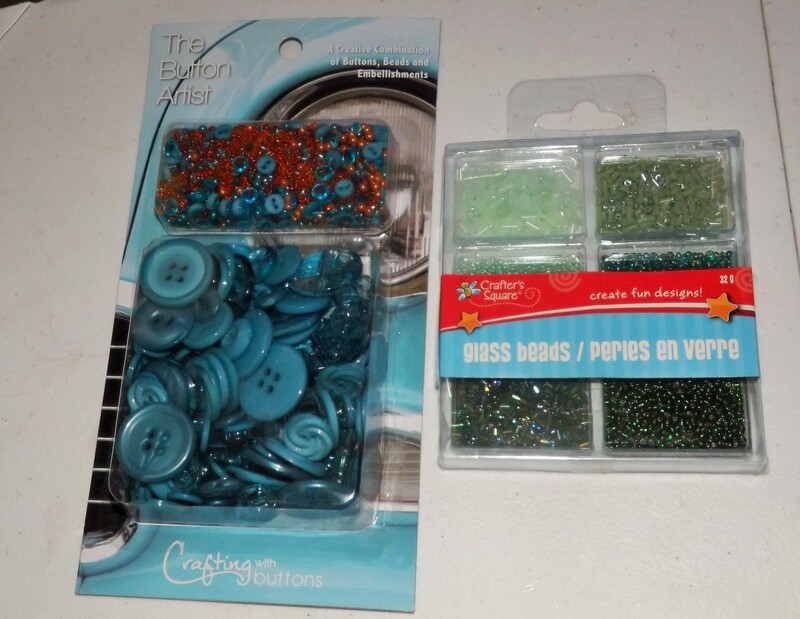 I never had enough buttons at home to do a project for myself until I was able to buy a package of buttons at a craft store (thank goodness for coupons). 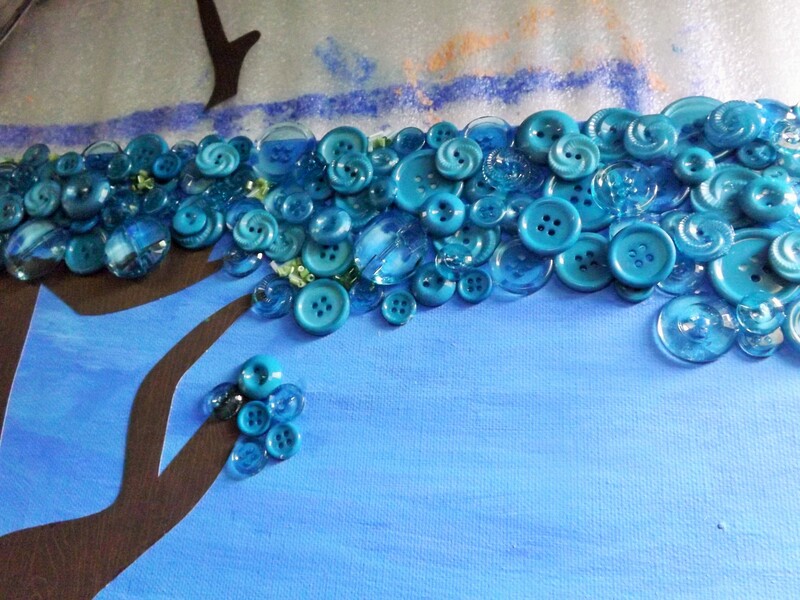 Those pretty buttons inspired me to create some colorful canvas art. 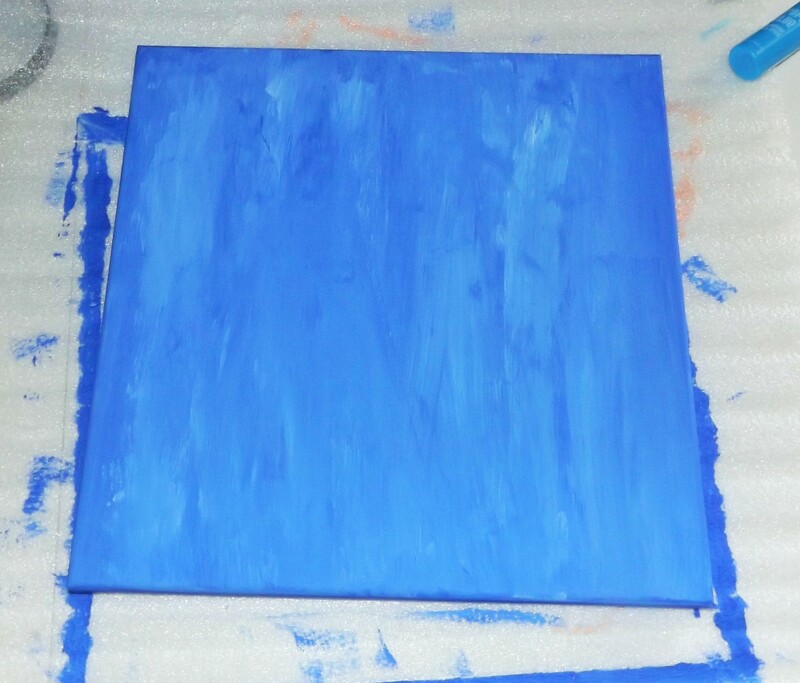 I began by painting the canvas with the white and Peacock Blue paint that I mixed together. 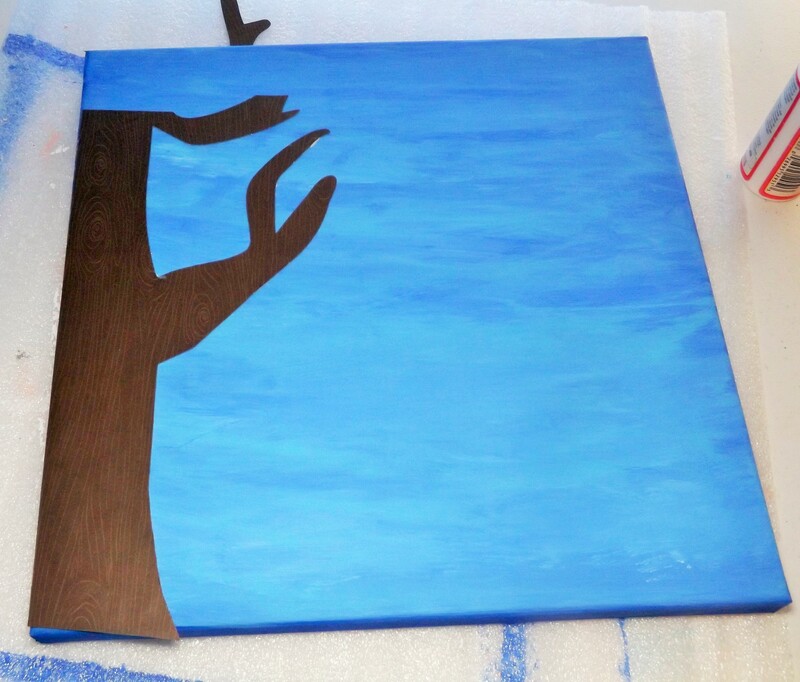 Next I lightly painted on top of the other colors with the Pool Blue paint. 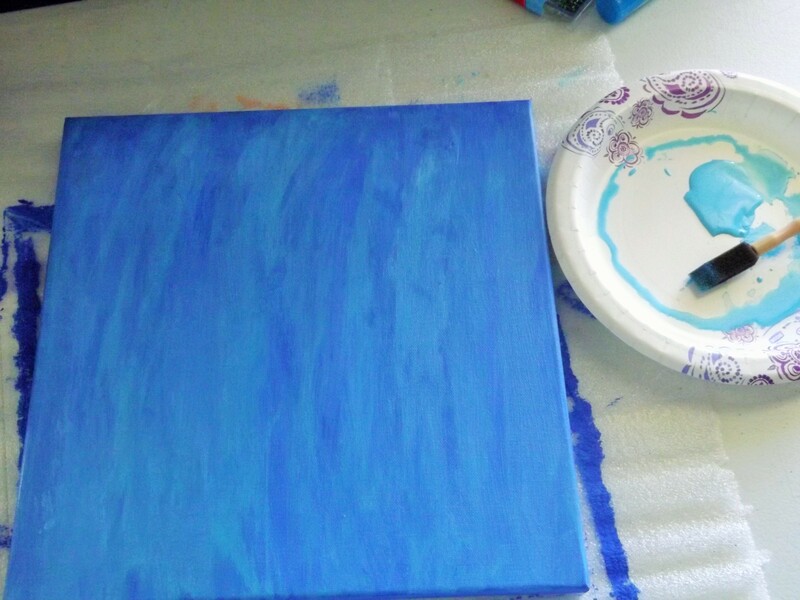 I wanted the canvas to showcase different shades of blue. 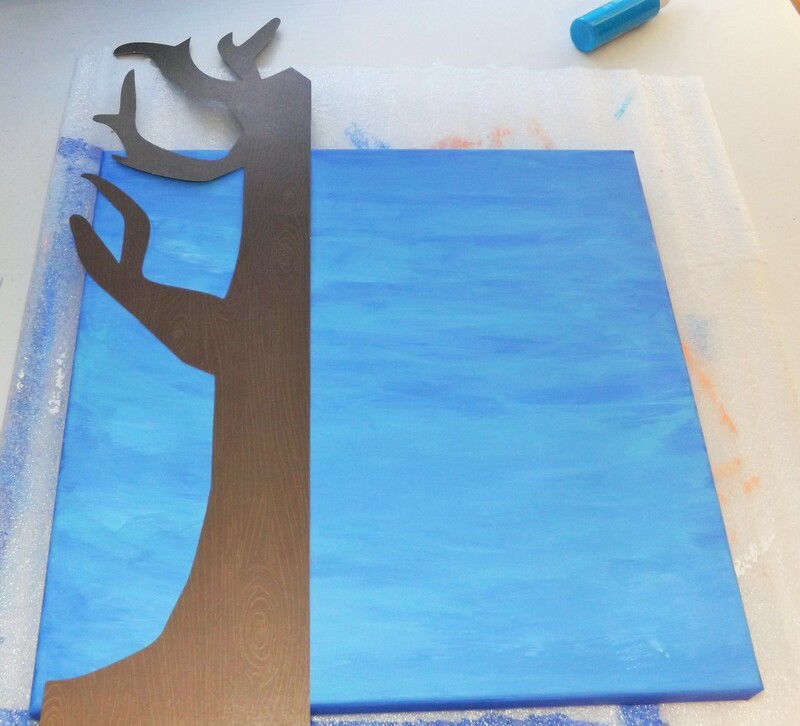 Once the paint was dry, I cut the paper tree and glued it on the canvas. **The paper tree was a part of the Heidi Grace Designs Project Pad which included several stickers and paper cutouts. 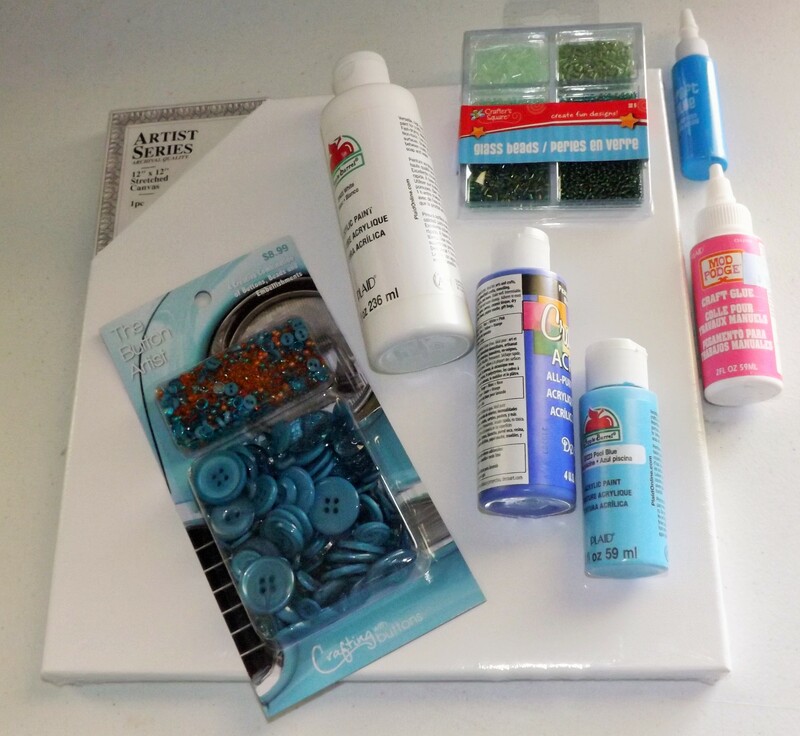 The last and best part of this project was adding the beads and buttons to the canvas using craft glue. I was free to design the materials any way I wanted. I didn’t have to worry about making a mess or if the project was perfect. I just focused on trying to make whimsical-looking scenery. I spread a thick layer of glue on the top part of the canvas, then I added the larger buttons. I glued the smaller buttons on top to fill in any holes. 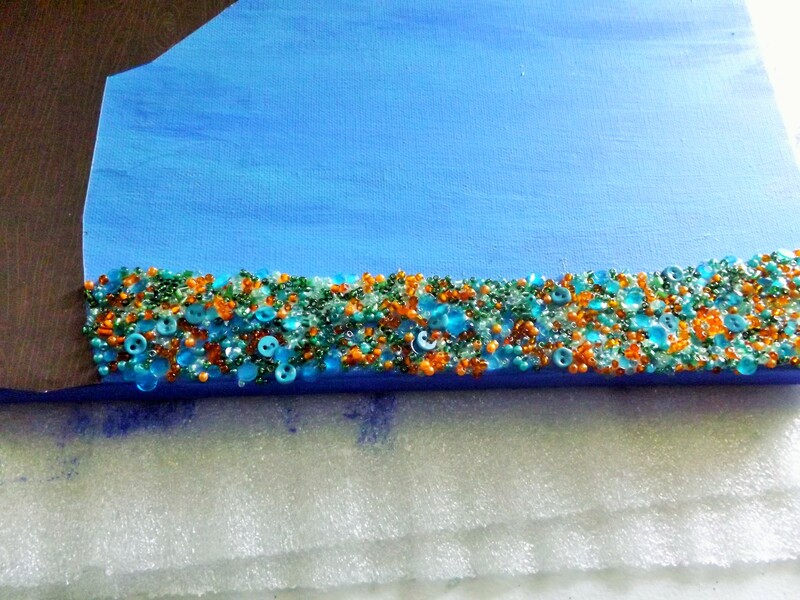 For the bottom part of the canvas, I spread another layer of glue, then I sprinkled the beads until the glue was no longer visible. 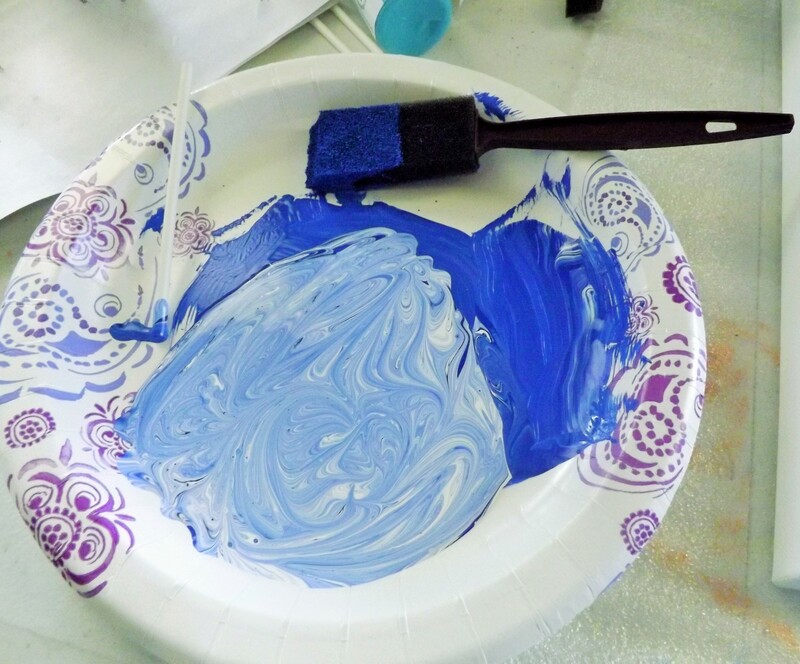 This art project is a fun activity to do with children. My son enjoyed helping me paint and playing with the buttons. 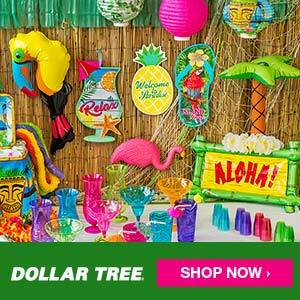 I can also see this as a fun project for a craft party. Imagine spending time with your friends laughing and creating art together. My kids would love this!! How fun! Thanks for sharing! thanks for sharing this idea. My daughter would love this.